Abby: A 16 yr old girl, with divorced parents. Lindsay: Abby's 10 yr old younger sister. Erin and Holly: Abby's friends. Person vs Supernatural: Abby gets weird nightmares when she found an antique doll. Then weird and scary things happened like, her friend erin fell down the stairs out of nowhere, a chandelier fell on top of her friend Holly, and that her sisters tree house burned when she was in there. But the creepiest thing was, that the nightmares were about the events before they happened. Abby, a 16 year old girl, moves to her new house along with her 10 yr old sister and divorced mom (Denna). In their first day there, Abby volunteered to do the attic. She didn't know why but she felt like she needed to go up there. While she was cleaning, she found a box, and inside the box, she found an ancient doll that had a lilac dress and a beautiful china face. At first Abby thought she saw hatred in the dolls eyes, but shrugged it off. HUGE mistake. A week later Abby starts to get wired dreams. She thought it was because of the whole new house and school thing, but her guess was way far from the truth. Abby's friend, Erin, spent a night over at her house, and Erin was the first victim. She woke up to get a glass of water when all of the sudden something, caused her to fall down the stairs almost breaking her neck. The second victim was Holly, Abby's and Erin's friend. The three of them were studying when suddenly, the chandelier fell on top of Holly almost completely crushing her. All Abby could do was stare. The third victim was her sister, Lindsay, when she was sleeping in her tree house, that's when it unexpectedly caught on fire. They took her to the hospital right away. The doctors said she was lucky cause she could have burned to death. The fifth and last victim was Mark, Abby's crush, who asked her out to go on a date on Saturday. The night before their date, Friday, Abby had another dream. She woke up sweating and screaming. When the big day finally came, Mark never showed up. So she decided to call to see what was going up, but when she called, his mom had told her that he died in a car accident while he was driving home from a friends house. That's when she realised the truth of what was behind all those tragic events. She found that out when she remembered the dream she had on Friday, that's when she saw a little girl, a little china faced girl running in the road. Abby immediately took the doll and put her back in her box. Abby drove to the edge of a cliff and threw the box and waited till she didn't see it anymore. Then she went back home. Months later, a man found the box and took it with him thinking that he would give the doll to his niece. 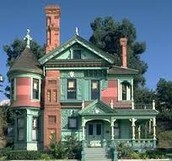 This is a victorian house. I chose this picture cause it represents the one that the book describes. This is what I think the doll in the book looks like. The book describes her as a pale doll with a lilac dress and a china face. I'm a 12 yr old girl that is crazy and loves to make people smile or laugh. I love to draw and listen to music. 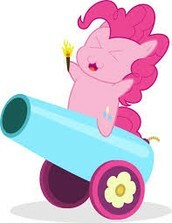 When I sing, which I love to do, is I use my applejack, rarity, pinkie, twilight, fluttershy, and rainbow dash voices. I was born a month earlier than what my actual birth day was. I also love to read! I think people should read a bit more. My fav. youtubers are Mark, Shane D., Yammimash, Cry, Jack, Pewds, Ken, Boy in a band (Dave), minx, HolaSoyGerman, Fernanflo, and many more.